The hit Netflix show's "Black Girl Magic" episode is making fans of the Emmy-winning series "ugly cry." 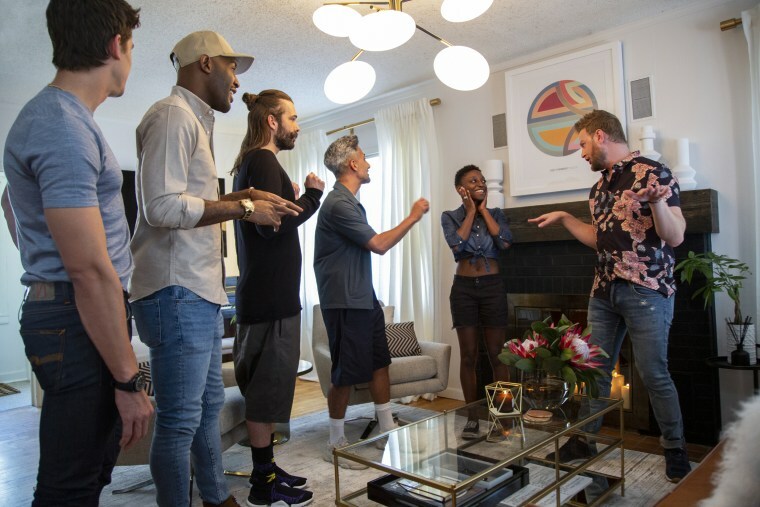 Netflix released the entire third season of its Emmy-winning reality makeover show “Queer Eye” on Friday much to the delight of millions of fans around the world. Many took to social media to gush over the whole season, but one particular episode — “Black Girl Magic” — has won over viewers' hearts and minds. “A forewarning to anyone who was going to watch episode 5 of @QueerEye on a flight ... don’t unless you want the entire plane to see you ugly cry,” Twitter user @emilialovee wrote. The “Black Girl Magic” episode focuses on Jess Guilbeaux, 23, who was kicked out of her home at 16 by her adoptive family when they discovered she’s a lesbian. She later tried going to the University of Kansas to study computer science, but she had to drop out after accruing too much student loan debt. When the show’s “Fab Five” co-hosts meet Guilbeaux, she has long since dropped out of college and is waitressing at a Greek restaurant in Lawrence, Kansas. In addition to the physical makeover the “Queer Eye” team is known for, viewers also witness Guilbeaux’s more personal transformation. The episode not only caught the attention of die-hard “Queer Eye” fans but also celebrities, including Janelle Monáe, who called Guilbeaux her “personal hero” on Twitter. One fan, Vanessa Gamet, even created a GoFundMe campaign to help raise money to send Guilbeaux back to school. The page, which has a goal of $100,000, has raised more than $17,000 since it was launched on March 16. Neither Guilbeaux nor Gamet immediately responded to NBC News' request for comment.